Oakland native Ray Carlisle explains historic agreement to Derrick Johnson, President/CEO, NAACP and Leon Russell, Board Chair, NAACP at their national Board Meeting in New York. 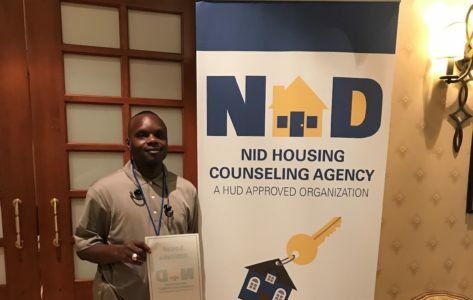 NID Housing and the NAACP recently executed a five-year MOU to affirmatively address homeownership and wealth building in minority and low-income neighborhoods. Mr. Ray Carlisle, Sr., NID President and CEO, attended the NAACP Board of Directors meeting in New York City on February 16, 2019. New NID Housing Branch Office Manager Sees His Impact in New Orleans.